Years ago when I read the first Erast Fandorin novel, I knew there was something unique about this series, and I liked the books so much I bought them from the UK as soon as they were published. Sadly, as I got more interested in other authors, these books got set aside. That is one. And while I think the mystery component of these novels is a little transparent in each book, Akunin, pen name of Grigory Chkhartishvili, is an awesome story teller, incorporating historically- accurate details and interjecting his own ideas here and there via his characters. That is two. Face it -- for a challenging, in-depth mystery Akunin is not the best, but for very entertaining stories, fast-paced action and larger-than-life characters, he's the go-to guy. And sometimes even seasoned crime fiction readers like myself need a break from the intensity of modern crime novels -- the Erast Fandorin series is just the ticket! That is three. As the novel opens in this, the sixth book in the series, Adjutant General Khrapov, newly-appointed governor-general for Siberia, is on his way to Moscow by train. The train stops to receive an expected passenger on a train, who just happens to be Erast Fandorin, Deputy for Special Assignments to the Governor General of Moscow. Fandorin is ushered into Khrapov's private car, and after only a few minutes, plunges a dagger into the General's heart, and leaves the train. But wait! As it turns out, it's not our hero after all; instead it was someone disguised as Fandorin, leaving behind his calling card: on the knife's handle, the letters "CG" are carved. Fandorin realizes that someone at high levels has provided information to the leader of a revolutionary group, but his hands are a bit tied trying to figure out who the traitor might be: he is caught in the middle of a higher-echelon power struggle where others have their own ideas about how to handle the situation. He must discover who is the traitor, and why he or she is feeding information to the revolutionaries before any more deaths can occur. The story is told from two very different points of view -- Fandorin's story alternates with that of Green, the revolutionary leader of the Combat Group whose parents had been killed during a pogrom against the Jews when he was younger. While Fandorin is trying to weed through several potential suspects to stop a traitor and thus stop the Combat Group, Green and his fellow revolutionaries are able to stay a step ahead of the law, wreaking havoc and bringing death along the way. 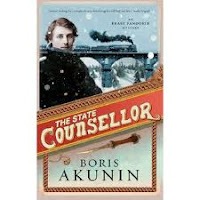 While Fandorin's often over-the-top detective work is fun to read and the plot is easy to follow, what I really liked about this particular book is that the reader gets a glimpse into a) the problems in Russian society in a view from below and even more importantly, b) the mindsets of those in power and those of the majority of the nobility. 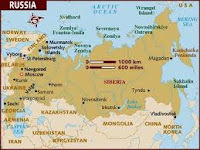 Decisions are made at this time which, combined with later decisions made by czar Nicholas II and other factors, will change the face of Russia and the rest of the world forever. Seeing the various points of view makes this book a bit less one dimensional and offers insight into events that will come in only a few short years. As with the previous installments of this series, The State Counsellor is entertaining, a good romp offering great period detail without becoming tedious like the works of some other authors I won't mention here. I've already read The Coronation, book number seven, and have all of the other ones stacked and ready for my perusal. I would recommend this series to people interested in the time period, for cozy readers who want just a little more than your normal cozy adventure, and for readers of crime fiction in general who want something a bit different. I'm not sure if many people are aware of Akunin's pattern, but he puts Fandorin in a different sort of crime fiction scenario with each book. Here he's set him squarely in a politically-charged adventure, so if this is your thing, you'll probably also like this book. If you realize that this novel (and the series in general) is generally a little farfetched, and that there are times where one must suspend disbelief, then the reading experience can be much more relaxed and fun. 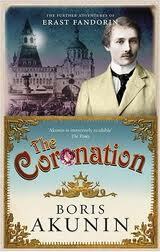 Book seven in the Erast Fandorin series brings us to 1896 and the coronation of Nicholas II as the last Russian czar. Like its predecessor The State Counsellor, The Coronation is steeped in accurate historical detail, from the name of the new Czar's horse to the horrible events that occurred in the field at Khodynka. Unlike The State Counsellor, Fandorin is acting as a lone wolf here, no longer holding his previous position as Deputy for Special Assignments to the Governor General of Moscow. The story is told through the eyes of the head butler at the Hermitage in Moscow, temporary home to the St. Petersburg contingent of the Romanov family and its retinue. His narrative spans two weeks, beginning with Fandorin's death. What???? The coronation is imminent, and the family of the czar's uncle Grand Duke Georgii Alexandrovich is settling into its Moscow lodgings. There's a great deal to do before the big event, but there's plenty of time to take the Grand Duke's little son Mikhail Georgievich on a walk through the park. Out of nowhere, Xenia, grand princess and daughter of the Grand Duke, is snatched up, but the attempt at a kidnapping is thwarted. But sadly, while Xenia is being rescued, even though the little boy is moved away for his safety, the whole thing is only a clever ruse, with Mikhail Georgievich as the real target. A shaggy-looking gentleman, along with an ice-cream seller in the park reveal themselves to the family as (who else!) Erast Fandorin and his Japanese servant Masa, and thus Fandorin is launched into the effort to gain Mikhail's safe release. His opponent is one Dr. Lind, someone with whom Fandorin has scores to settle, and someone who demands something no less than the Orlov diamond, the key jewel of the coronation ceremony. But this is not going to be an easy task -- Lind holds all the cards, Fandorin is not trusted by many in the household, and the family, while concerned with little Mikhail, still have duties to perform to ensure that the coronation goes off without a hitch. After all, nothing can be done to get in the way of the Romanov destiny -- and rumors of a royal kidnapping might undermine the stability of Nicholas' rule even before it is officially acknowledged. 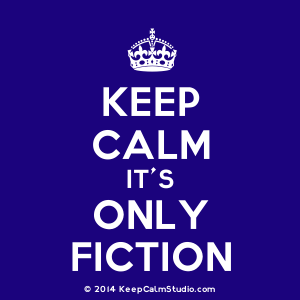 There are several moments to divert one's attention away from the main action of the novel. Some are humorous, for example, the butler's undercover adventures in a club for gay men is only one pleasant diversion to be found. Some are darkly serious and based on a terrible reality where over 1300 people were trampled to death at the Khodynka field on a day when the royal family set up food and drink for their citizens and rumors escaped that there wasn't enough for everyone. And then Akunin offers insight into how the Imperial family views its common citizens, and just how far the family is willing to go to hide anything even remotely detrimental to its image -- a factor that later is going to help bring down the house of Romanov in terms of Nicholas' only son and his hemophilia. I'll admit to not having figured out the kidnapper's identity in this hostage mind-boggler of an adventure, and I got very caught up in the story while trying to do so. I think, though, that knowing the sad story that's yet to play out with the Romanovs, the history took me in more than the mystery, although it was quite enjoyable and very fast paced. Akunin's sense of place is undeniably vivid, as is his knowledge of detail of the period, more fully fleshing out the events going on around the story of the kidnapping. The Coronation may be my favorite of the Fandorin novels so far, with The State Counsellor a close second. There's a big leap in quality between these two books and the earlier ones, and I hope the remaining three (She Lover of Death, He Lover of Death and The Diamond Chariot) are just as good as these two have been. Anyone who enjoys hostage and kidnapping stories will like this, as well as cozy readers who want a bit more of a challenge than the usual fare. Readers of this series will also enjoy it, and I think readers of historical crime fiction will do well with this book. Again -- some of the scenes are just completely over the top, but it still a very good read. I have 'She Lover of Death' on my TBR pile but I haven't read any previous books by this author. It sounds quite interesting. The entire series is interesting and fun, actually. Personally I think readers would get more out of the books by starting with the first book in the series, but I haven't had any problems getting back to these books after being away from them for years. I started She Lover of Death late last night and I'm already liking it! I have a problem reading about this period in Russia, as my grandparents lived in Poland, which was occupied by the czar's government, and their country's borders obliterated. Not to mention the ostracism and brutality leveled against the Jewish people, the economic deprivation and, of course, the czar's pogroms. My grandparents fled the pogroms and extreme poverty in 1907 and came to the U.S. So there is no way I want to see anything from the czar's point of view, although I notice in one of the books mentioned, the pogroms are discussed, which is good. I'm back, finally, and I've missed being here.